No, this has nothing to do with Run the Year, although I’m still participating in that. 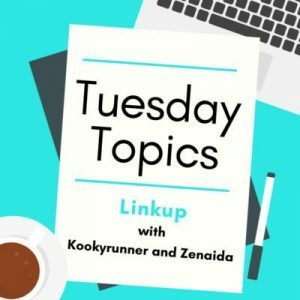 It has everything to do with training run amok and a desire to at least do something even if run plans end up down the tubes. While they aren’t enough miles for a long run, they’re an interesting and super gradual ladder. I think they’re going to be my go-to when life happens and the planned run does not. 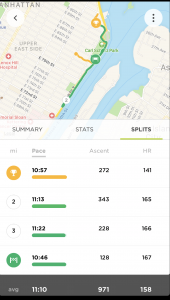 Saturday was supposed to be a long run for Brooklyn/Cherry Blossom training. The first plan was to sign up for NYC Runs’ Spring Fling 5 and 10K, but those sold out. 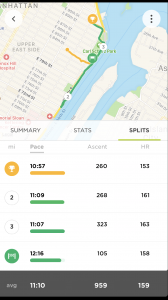 Then the plan was to hit Central Park and do ~ the Ted Corbitt course. Picking up new glasses and phone took way longer than they should have, and before I knew it it was nearly 5 and the only reasonable option was to hit the East River Path. I still hadn’t had the chance to try the re-opened path, so I went there. The path is a mess. Yes, the new ramp is open and I love that as it’s gradual vs. steep incline, probably to be ADA compliant. It’s going to be perfect for hill repeats and it’s much closer than Cat HIll for that. However, I still can’t get to the gym because the path is now closed at 72nd. Ugh. And yes, still closed north of 88th so it’s a weird, choppy run. But it’s a run that’s <5m from home which is much easier than Central Park some days. Some days? Oh, I meant twice in the last three. The plan today was to hit NYRR Run Center, stash my stuff and go run in Central Park. And then I ended up with a meeting in Union Square that ran to 6. I had a head full of “Outside! Gym, do not want you” so decided to see if I could make it work. I zipped home via the eye doctor to have my new glasses adjusted, quickly changed and went back out. I knew I wanted to go if I made that happen (64 steps, sometimes a deterrent). Knew I didn’t have time for Central Park before sunset so I revisited Saturday. Mile 1 is flat/downhill and mile two has a slight incline. Mile three has the new ramp so I was pleased with that improvement. The last .19 was a mix of watching my footing at dusk and trying to figure out if I’d hit 3.19 as I really couldn’t read the watch at dusk. I’m really excited about doing hill repeats to improve that. Yeah, who am I?!?! I’m in a speed improvement rut, that isn’t unexpected. I haven’t been back to Mile HIgh since late January due to changing speeds on treadmill not being knee friendly while it was healing. 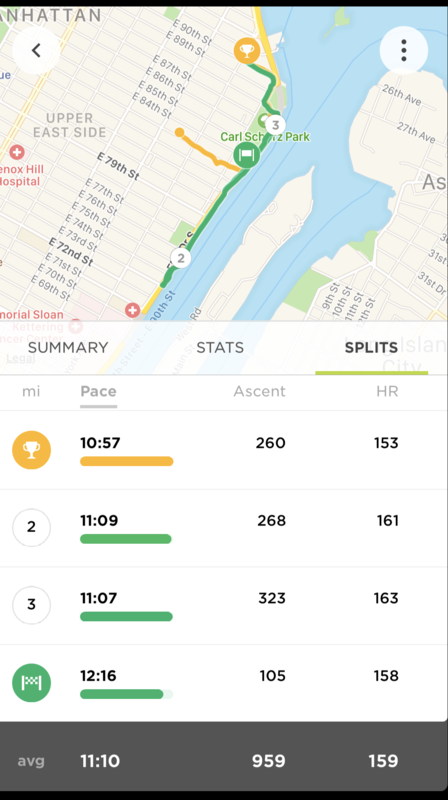 It’s not that I’m getting slower, per se, I don’t run the East River often enough to tell, but I’m not getting faster. I’m hoping some focused training will help that as I know what my lungs are capable of. I didn’t feel winded at the end of today’s run at all, which I know means I could have pushed it. 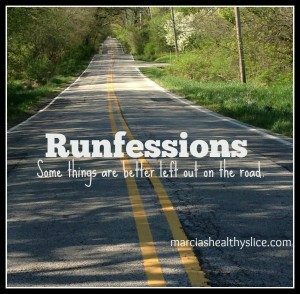 I know i”m capable of 10:54 for longer, I just need to figure out how to maintain that when treadmill isn’t. 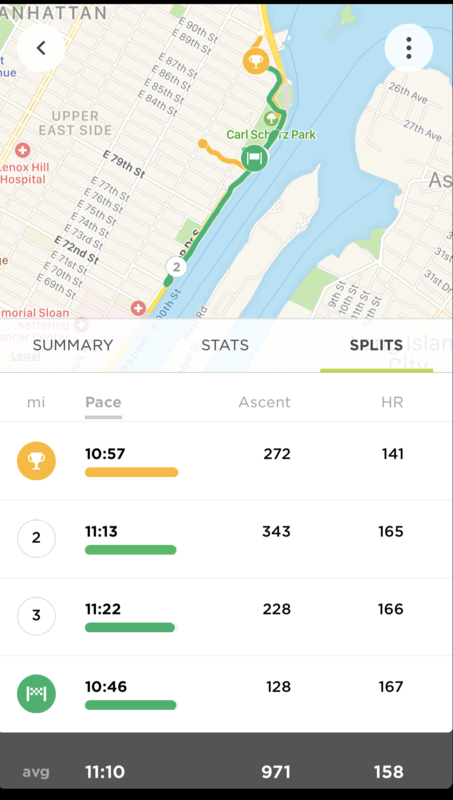 Speaking of the East River, if we don’t have snowpocalypse #6,372 this week, I think I’m meeting up with the November Project folks since I can’t run after work on Wednesday. I want to do the Team MHRC workouts, but NoHo at 7AM is a challenge. NP? Literally 5m run from home depending on if I hit the lights. It looks like they have a blast, so I think this is spring/summer goal. Watching the NYC Half was awesome. I got to our cheering station in time to see the women elite, and get a photo of the men. I don’t yet know what I think of the new course, and not sure I want to do it next year. At the moment I have three of the 4/6 runs on my calendar and think I might be in town for the Bronx 10. We’ll see. I’ve had this shirt on my mind since Mary Wittenberg wore it for the Women Running panel a few weeks ago. It might have to happen. Its always better to do something rather than nothing! I hope you can get outside for your workouts this week.